Having already reviewed ‘War Horse’ on The Popcorn Junkie it’s time to take a look at Steven Spielberg’s second effort for 2011 and probably his biggest challenge as a filmmaker in recent times ‘The Adventures of Tintin’. I was never a huge fan of the Tintin comics but every school library in Australia always had a good selection of the comics, and it was a great way to kill time when you had a boring library period. The stories of the Tintin comics were always interesting but I could never get past the fact that the relationship between the teenage reporter Tintin and Captain Haddock was a little creepy in a Johnny Young /‘Young Talent Time’ way (Australian TV show with singing kids, worth Googling for the cringe factor). Tintin (Jamie Bell) is a newspaper reporter always on the lookout for his next big story. After purchasing a model sailing ship at a European street market, Tintin finds himself in the sights of Ivanovich Sakharine (Daniel Craig) who will do anything to get his hands on the ship. 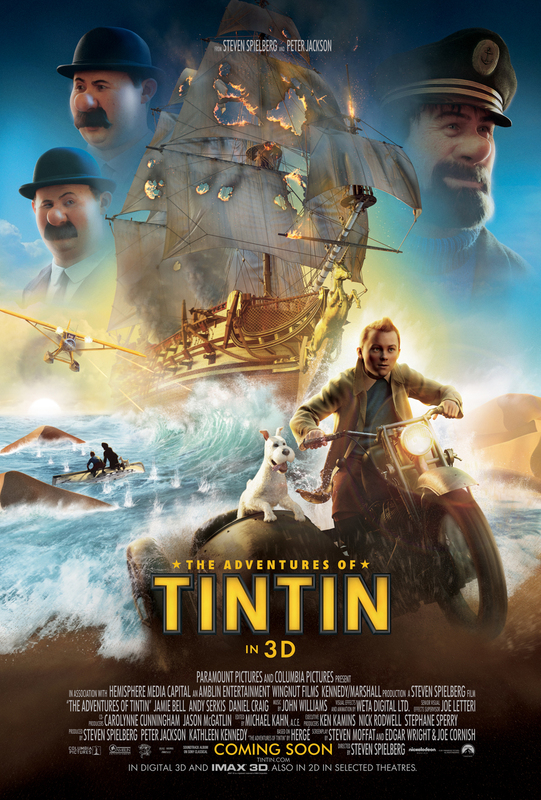 Soon, the secret of the ship is revealed and Tintin must team up with sailor/alcoholic Captain Haddock (Andy Serkis) to find a long lost treasure. ‘The Adventures of Tintin’ takes full advantage of the motion capture technology to create a colorful world and it feels like you’ve been transported into a panel from the comic. The entire world is created digitally and it allows the imagination to run wild. ‘The Adventures of Tintin’ is Spielberg’s first shot at directing a motion capture film and working with environments that are created entirely in a computer. He wastes no time making the most of the medium with several pixel busting action sequences. An amazing motorcycle chase scene through the streets of Bagghar is a major highlight as well as swashbuckling sword fight onboard a pirate ship. 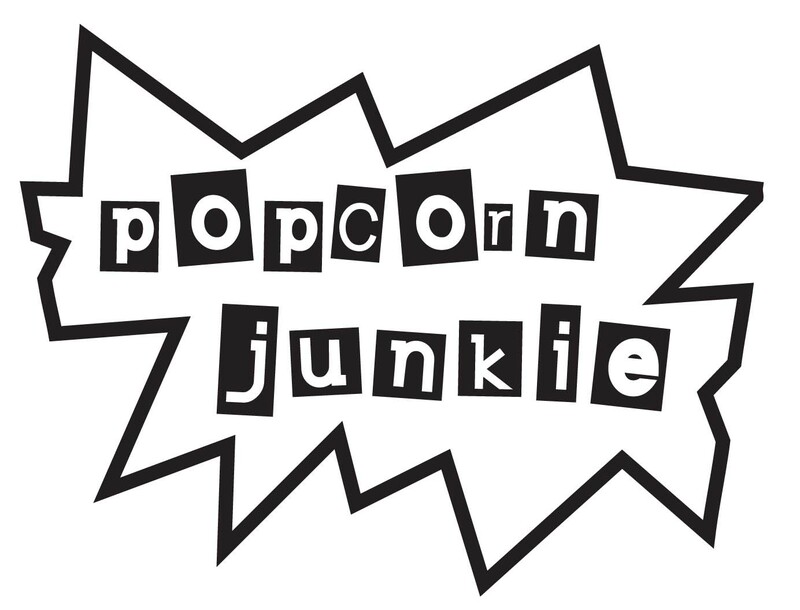 Most of the action feels like it comes from the mind of a child high on red cordial but there is a major sugar crash, especially towards the finale where they milk the film’s final moments for more chaos. The motion capture performances are quite good with Serkis stealing the show as Captain Haddock. Tintin’s pet dog Snowy will keep the kids entertained but at times comes across as an annoying mix between R2-D2 and Jar Jar Binks from the ‘Star Wars’ universe. The motion capture technology is getting better and ‘The Adventures of ‘Tintin’ shows a significant progression in how the medium can be used properly. It’s important not to forget that ‘The Adventures of Tintin’ is a kiddie film and fans expecting a realistic take on the universe can forget about it. Tintin spends a LOT of time explaining everything in fine detail like he’s hosting an episode of ‘Blue’s Clues’. It gets irritating and although the plot has all the elements of a good treasure hunt, the characters just bounce from one clue to the next and it get a little dull outside the action. Fans of the Tintin series should be pretty happy with the end result and based on my sparse knowledge of the comics, I could spot plenty of references to other adventures and the opening titles sequence is an impressive little mini-adventure. The big winners are going to be the kids and I think Spielberg has set out to make a film for the little ones, and the few of us that haven’t quite matured yet despite our cool facial hair, driver’s license and mortgage repayments. It’s a lot of fun and I’m looking forward to seeing what director Peter Jackson does with the next installment which is slated for release sometime in 2013-2014. I really hope to see this one soon, but i’m surprised you only gave it a 3.5!